Hair loss in women does not result in complete baldness as it often happens with men. But nevertheless it is a cause for acute embarrassment. Many a woman would have experienced this condition at some stage in her life. Read on to understand the regular cycle of hair growth and sudden shifts in this cycle that cause hair loss. 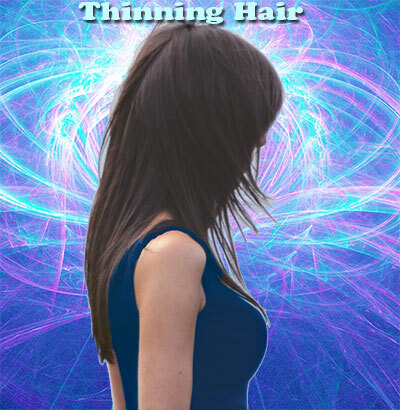 Thinning hair and falling hair could be indicative of an underlying health condition. Anagen: This is the growing phase of hair and it remains at this stage for about one or two years. Nearly ninety percent of our hair is usually in this stage. Telogen: The hair rests during this phase. Eight percent of hair remains here for three to four months. Catagen: This is the stage when hair falls out and accounts for nearly two percent of hair. New hair then grows in its place. Hair growth is about one centimeter per month. When hair loss is more than this cycle, it leads to a condition of abnormal hair loss. Excessive hair loss or thinning hair can occur due to a number of reasons. Hormonal problems are a major cause of falling hair in women. When the delicate balance between androgens and estrogens is disturbed, it can lead to falling hair. One of the common situations of heavy hair loss is just after delivering a baby. High levels of certain hormones during pregnancy are responsible for keeping hair fall to a minimum. But soon after when the hormones return to earlier levels, the normal cycle of hair fall resumes. Other conditions that give rise to heavy hair fall are medications for chemotherapy and anti depressants and birth control pills. Oral contraceptive pills that are more androgenic can cause hair loss as a side effect. An overactive or under-active thyroid gland can also be a cause for hair loss. The hair cells tend to shut down to redirect energy elsewhere when the body finds itself in a critical situation. Fungal infections can also cause hair loss. Diseases such as diabetes or lupus can manifest in early symptoms such as severe hair loss. Systemic illnesses such as hepatic disease and Crohn's disease are known to cause severe hair fall. Individuals produce less hair as they grow older and it is more liable to dryness and breakage. Improperly done coloring, perming and straightening treatments cause hair to fall out. Tight ponytails or braids can also cause hair loss especially around the forehead. Nutritional factors such as starvation, yo-yo dieting and crash diets can result in diffused hair loss. A deficiency of Iron and Zinc can also manifest in falling hair and can be diagnosed by a simple blood test. Telogen Effluvium: Hair loss of this kind begins with overall thinning of hair from the entire scalp. A condition of this kind starts manifesting itself after an extremely stressful condition such as pregnancy, major surgery or any life-changing event. Hormonal fluctuations can also result in Telogen Effluvium. Synchronized shifts from Anagen to Talogen phases will result in this kind of sudden hair loss. Once the underlying cause is identified and suitably addressed, the hair cycles will revert to their unsynchronized patterns resulting in a normal hair growth cycle. Androgenetic Alopecia: Females suffering Androgenetic Alopecia rarely bald completely. Androgenetic alopecia can result from thinning of hair due to genetic factors. The hair on the crown area shows marked thinning. Female pattern Baldness (FPB) is characterized by general thinning of hair all over the head. This typically begins around the age of 30 and becomes prominent around 40. Linked to menopause, this condition leads to a balding area around the head or sometimes a receding hairline. Alopecia Areata: This kind of balding pattern appears as small round patches of hair loss. It is a hair loss disease that appears to be set off as an autoimmune reaction when the cells prevent hair follicles from producing hair. This condition is characterized by sudden hair loss followed by patches of baldness and finally the hair growth is restored. DHT (Dihydrotestosterone) is a highly active form of testosterone that causes hair follicle to degrade thereby shortening the anagen phase. 5-alpha reductase is the enzyme that affects the conversion of testosterone to DHT. A shorter anagen stage results in more hair fall as well as rapidly thinning hair. However, the sebaceous glands attached to the hair follicles remain unchanged. The glands continue to secrete oil and therefore it will be noticed that thinning hair results in flatter and oilier hair. In the UK, CPA (cyproterone acetate) is commonly used to treat women to combat hair loss. This is used in combination with ethinyl-estadiol. Spironalactone is more popularly used in the US as an anti-androgen treatment. Such a treatment must be continued for at least 12 months. Two years is a reasonable time to see a significant improvement though results vary according to the person's age as well as the duration of alopecia. There are some documented side effects of the CPA therapy though such as disrupted menstrual cycle and increased bleeding. First Published Date: 19 Nov 2006 Last modified Date: April 23 2019 This page may have been updated recently as new information is available or the content may have been edited for better readability.